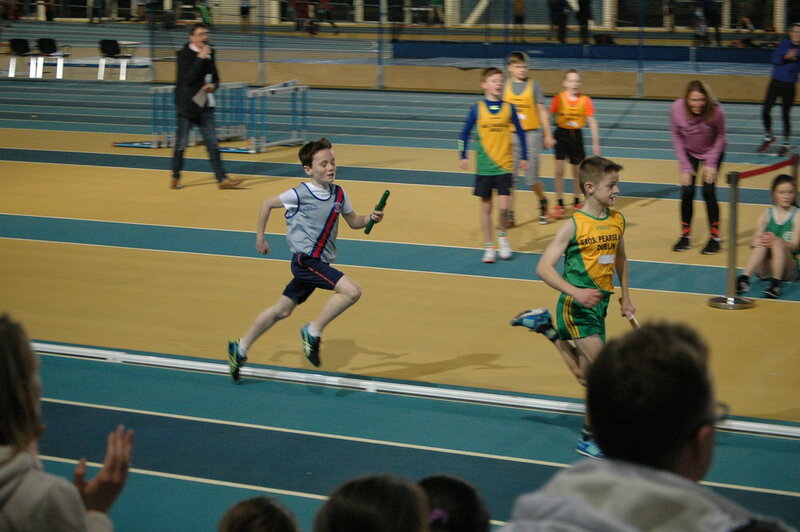 Well done to all those on our Even Age Group relay teams, who did so well on Friday night in Abbotstown Indoor Arena, and also our field event athletes. 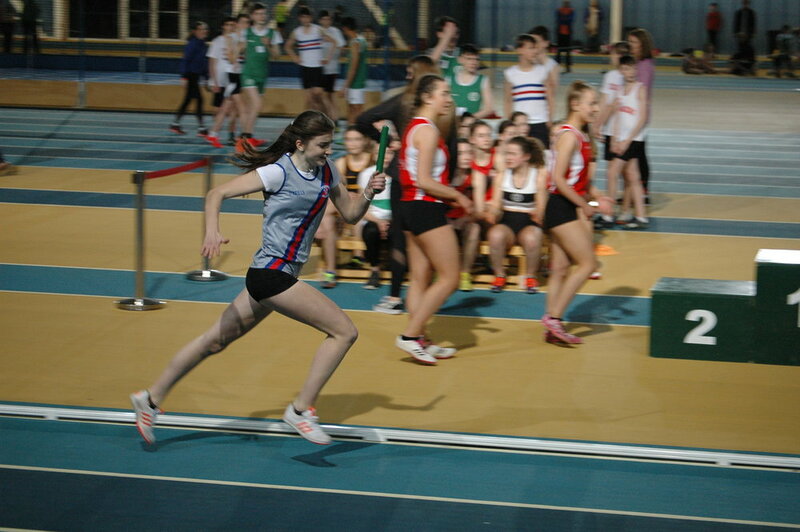 Special mention must go to Claudia Moran, just back from injury, who, as well as being on the U.16 relay squad, took gold in the U.16 Shot (8.34), and Emma Roche who registered a PB in the Shot winning gold (10.0) and then running the last leg in the U.18 4 x 200m relay, when one of the members of the team had to leave. 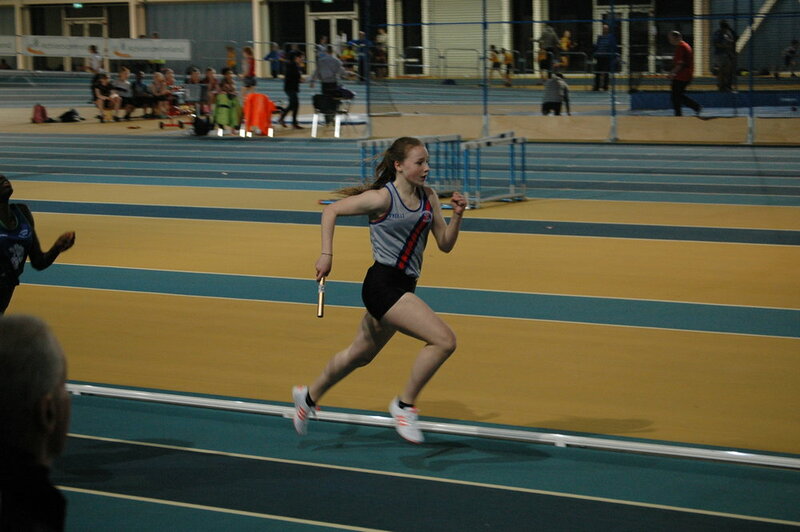 Emma was only caught by Tallaght’s international athlete Rhasidat Adeleke. Ailbhe O’Reilly finished 2nd in the U.16 Shot (7.42), and Molly Mullaly 3rd Shot. 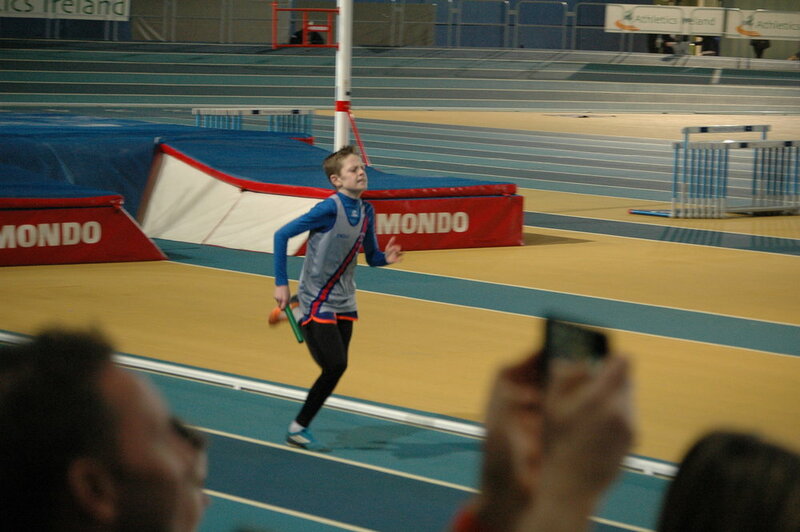 In the 4 x 200m relays our u18 Boys were very impressive finishing first with the U.18 girls 2nd. Our U.16 Girls were just pipped for 1st taking silver, and it was great to see two D.S.D. teams in this final.. Under 12 boy were 2nd; U.10 girls 3rd, all running 4 x 200m for first time. Thanks to Eoin Dunphy for great photos!